WWII Socks and Other Woollies! 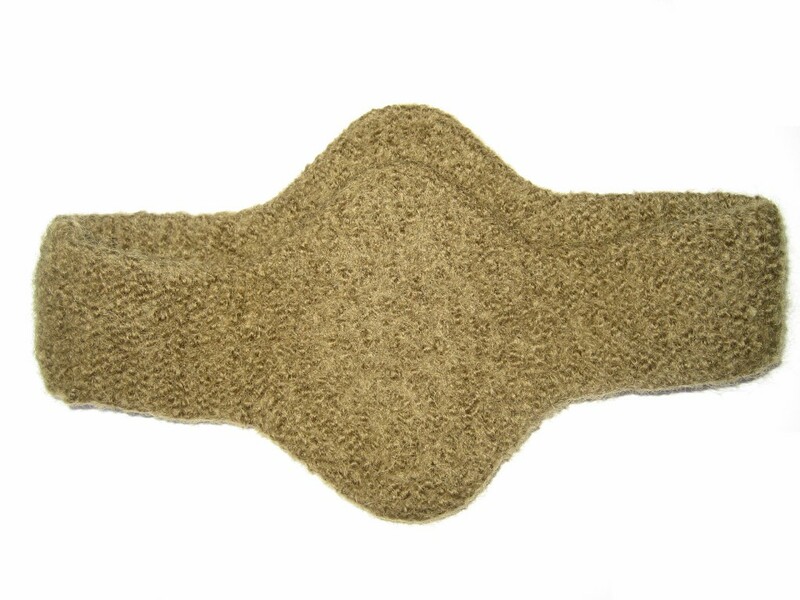 A variety of socks and other warm extras, such as knee caps and a body belt. All knitted from the original WWII war patterns. I use pure wool yarn and you can choose from many colors. Socks are $40. Stockings are $50 to $60. Body belt is $45. Ear muffs are $25. Feel free to contact me with any questions or to request your custom items. 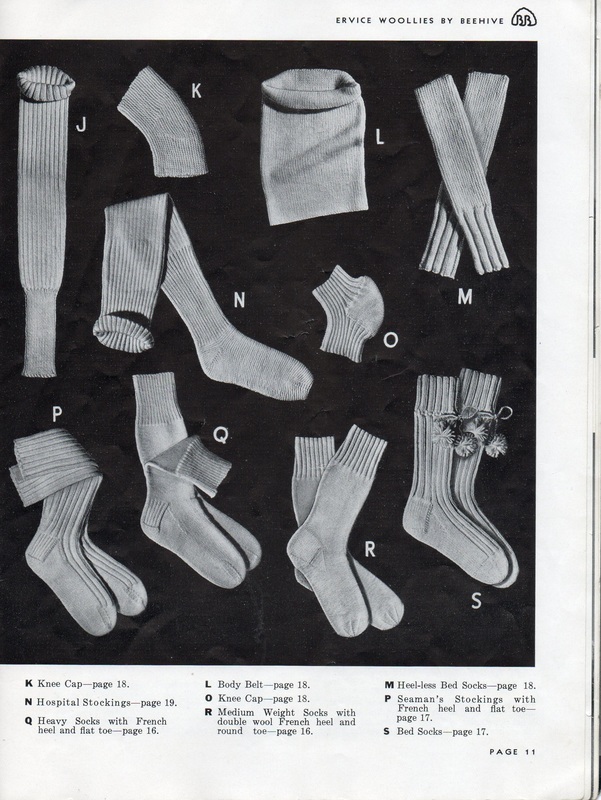 Here are the WWII basic, standard sock. 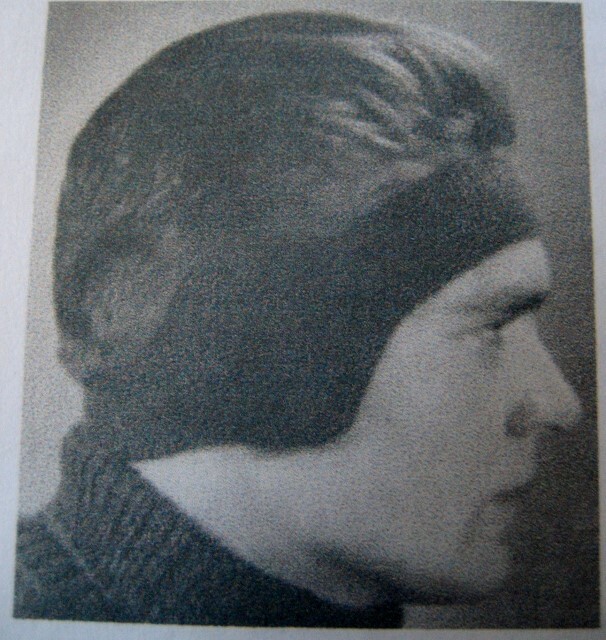 From 1940 service knits book. These are called Spiral Socks. They are more like a hospital or heel-less sock. Pattern from a 1940 service knits book. Here is a classic American Red Cross WWII sock that I knitted. Similar to the one above, but a slightly different pattern. WWII knee caps. Also from the 1940 book. WWII ear muffs. From the 1940 service knits book. These are the WWII ear muffs that I knitted.